Featuring a delicate diamond cut pattern around the edge, this elegant St Christopher pendant is crafted in shining sterling silver for a fresh feel. Finished with a fine chain. 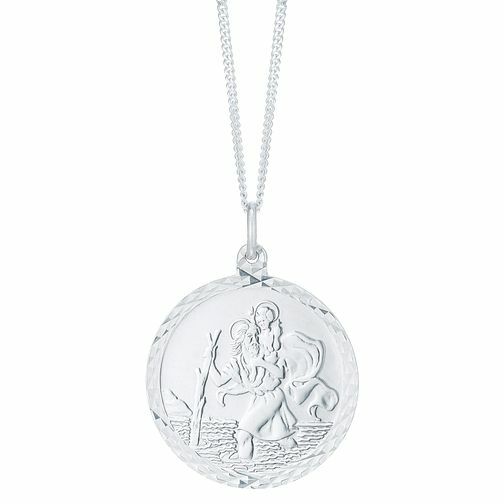 Sterling Silver Large Diamond Cut St Christopher Pendant is rated 4.5 out of 5 by 6. Rated 5 out of 5 by Anonymous from St Christopher necklace Extremely pleased with my purchase of the st Christopher,I know my wife is going to love it, would recommend makes a perfect stocking filler.